"A stunning golf course that's always extremely well presented. Played it during the Men's Open in July and the course was faultless." "Superb golf course with a links feel to it. Well worth a visit." "What a treat to play Kingsdown. A friendly welcome from everyone we met as first time visitors. 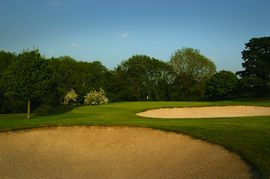 The course has a very links feel, excellent drainage and fabulous greens. Have already recommended it to many and will certainly play here again 'en route' to Wells or the West Country. First class experience and thank you." "Very nice club. Lovely greens and great food at the end."